We recently received the following comment on our blog. We share the reader’s frustration over labels–as does Anton Treuer, who discusses the subject in the book. The excerpt below addresses terms for talking about North America’s first people. We’d love to hear your comments, too. What terms are most appropriate for talking about North America’s first people? The word Indian comes from a mistake: on his first voyage to the Americas, Columbus thought the Caribbean was the Indian Ocean and the people there were Indians. The use of the word and assumptions around it are well documented in Columbus’s writings and those of other Spanish officials who accompanied him on the voyage and corresponded with him. Russell Means, Peter Matthiessen, George Carlin, and a few others have claimed that the word Indian is actually derived from the Spanish phrase una gente in Dios (people of God). But Columbus never used that phrase in reference to any people in the Americas. Use of the word Indian had nothing to do with the words in Dios. It was a mislabeling based on Columbus’s confusion about where he was when he first arrived in the Americas—and it stuck, even after the mistake was well known in Europe. As much as possible, we should all use tribal terms of self-reference in writing about each tribe: they are authentic and loaded with empowered meaning. Those words (such as Diné, Ho-Chunk, Dakota, Anishinaabe, or Ojibwe) work at the level of tribal discussion, but they sound ethnocentric to members of other tribes. Regardless of all decisions about labels, however, it is most critically important that we respect one another and create an environment in which it is safe to ask any thoughtful question without fear. The only way to arrive at a deeper understanding is to make it acceptable to ask anything you wanted to know about Indians but were afraid to ask and get a meaningful answer rather than an angry admonition. 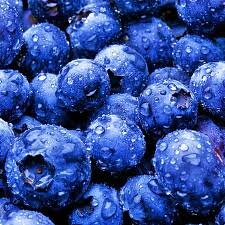 July is National Blueberry Month. This delicious fruit is at its tastiest during the month of July, and the berries are inextricably linked to Minnesota summers. 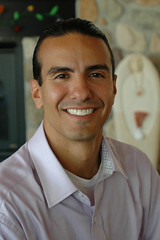 Author Curtiss Anderson writes about the season in Blueberry Summers. Now is the time to enjoy blueberries as much as you can. Why not try this perfect summer treat, courtesy Potluck Paradise? Preheat oven to 350 degrees F. Make topping by combining dry ingredients and then cut in the cold butter with a pastry cutter until crumbly. Set aside. Lightly grease a 9-inch square pan. Combine the flour, baking powder, and salt (if using) and set aside. In a medium mixing bowl, stir the butter and sugar together. Add the egg and mix well. Stir in half the flour mixture, then the milk, followed by the remaining flour. Spoon base into greased pan. Kerplunk berries on top; spread out evenly so they are only one berry deep. Sprinkle with topping. Bake until topping is just turning golden, berries are bubbly, and the base has pulled slightly away from the sides. Serve warm or at room temperature. Refrigerate any leftover. Try this recipe and many more as you celebrate blueberry month and Minnesota summer. On July 25, Dakota artist and poet Gwen Westerman will speak at the Minnesota History Center on the topic “We Are Still Here: Minnesota Is a Dakota Place.” She will share her perspective on the modern view of Dakota people and their place in Minnesota now and in the past. The date of this event marks the eve of the anniversary of the U.S.-Dakota War. Gwen Westerman is a coauthor of the book Mni Sota Makoce: The Land of the Dakota, which will be available in September. The book discusses topics that will be touched on at the lecture. Come and join in the discussion with this Dakota author starting at 7pm. Admission is free and open to the public. 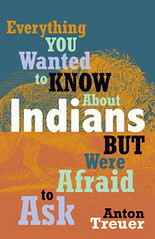 Anton Treuer, author of Everything You Wanted to Know About Indians But Were Afraid to Ask is off to Washington DC next week to record an episode on C-SPAN BOOK TV’s After Words program. Book TV’s signature program, After Words, is an interview program in which authors of the latest nonfiction books are interviewed by journalists, public policy makers, legislators, and others familiar with their material. Dr. Treuer will be talking with Jacqueline Pata, Executive Director of National Congress of American Indians. Stay tuned for updates on broadcast dates. What is the future of Indian gaming? Are all Indians rich from casinos? How has casino gambling affected Indian communities? Why do Indians have long hair? Should Leonard Peltier be freed? 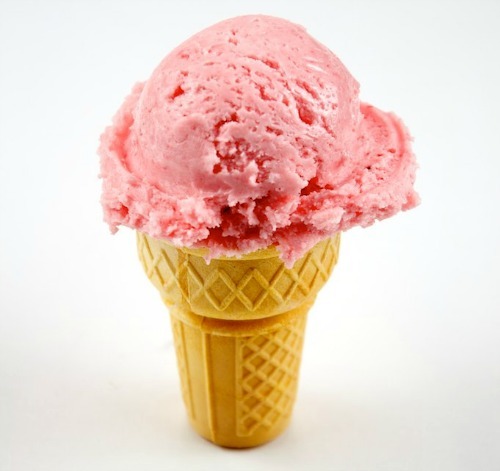 Because of Americans’ love for ice cream, in 1984 Ronald Reagan declared July to be National Ice Cream Month, with the third Sunday of the month designated National Ice Cream Day. Spend these hot summer days enjoying delicious ice cream and trying fun new flavors with friends and family. Author Tricia Cornell shares a great recipe for ice cream in her cookbook, Eat More Vegetables. Corn has been bringing sweetness to side dishes for generations: I’m thinking of my grandmother’s custardy creamed corn, which always made me feel like I was getting away with something when I put a scoop next to my roast beef at Sunday dinner. So why not a corn dessert? This sweet corn ice cream is very rich, slightly tangy, and delicately corn flavored. Cream cheese is a handy cheat when you want to make a creamy ice cream but don’t want the bother of boiling a custard. One blitz in the blender, and you’re ready to go. Don’t, however, be tempted to skip the overnight chilling step. You want the mixture to be very cold when it hits your ice cream maker. If you can’t get very fresh, young corn, boil it for about five minutes before using. The Chili-Lime Salt is a bold, tangy touch, inspired by elote, a favorite Mexican preparation of corn with chili powder, lime, and crema. A light sprinkling of fresh lime zest is very tasty as well. Cut kernels from cobs (you should have about 2 cups) and “milk” the ears, using a bowl to catch all the corn and liquid released. Place first 6 ingredients (corn through salt) in blender and puree. Chill mixture overnight (it will separate in the refrigerator; just stir it up). Place in your ice cream maker and freeze as directed. If you don’t have an ice cream maker, chill overnight and then freeze mixture in ice cube trays. Pulse cubes in bowl of food processor. The texture will be more like a flaky granita, but it will still be tasty. Sprinkle judiciously with Chili-Lime Salt before serving. Mix ingredients well. Keep this combination on hand to spruce up store-bought vanilla ice cream as well. Enjoy this recipe and other ice cream treats all month long. It’s your patriotic duty! 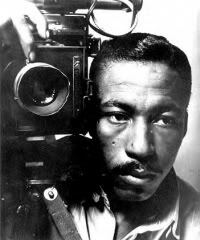 This year marks the centennial of the birth of Gordon Parks, accomplished photographer, poet, filmmaker, composer, and novelist. The Weinstein Gallery in Minneapolis is hosting an exhibit celebrating Parks’s life and work. The exhibit includes forty of his most influential photographs taken throughout his career, from impoverished teen to artistic legend.